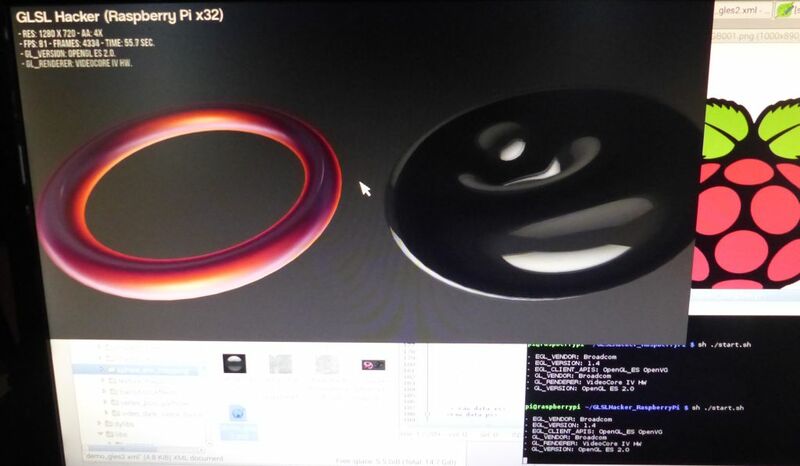 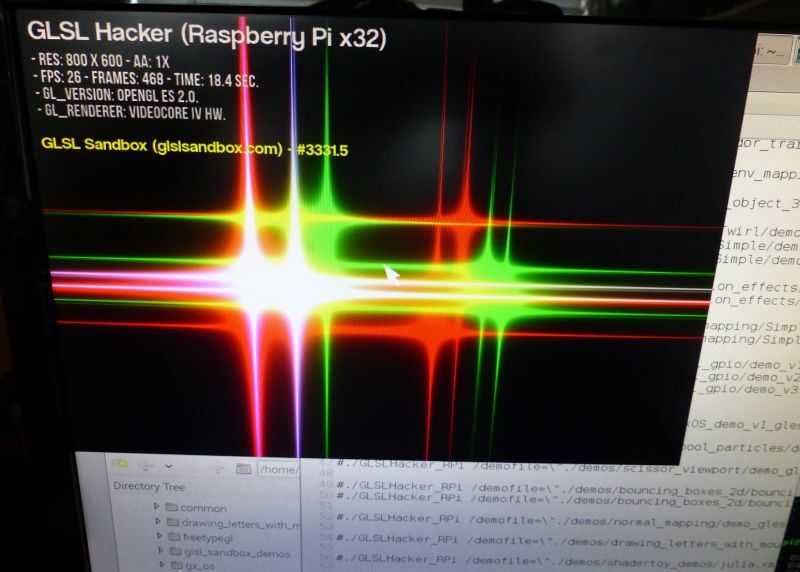 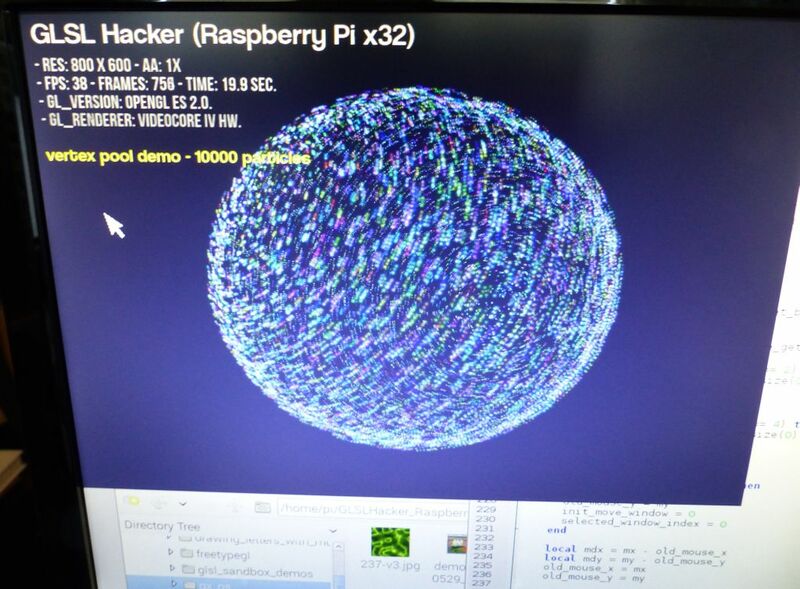 GLSL Hacker for Raspberry Pi : The Return! 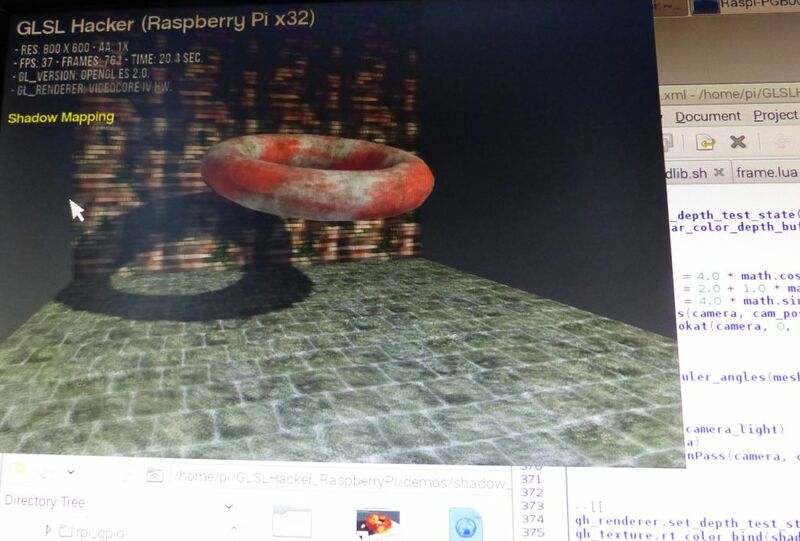 I'm updating since some days the Raspberry Pi version of GLSL Hacker and this time, the Raspberry Pi has a real GLSL Hacker, not an useless toy like the first time. 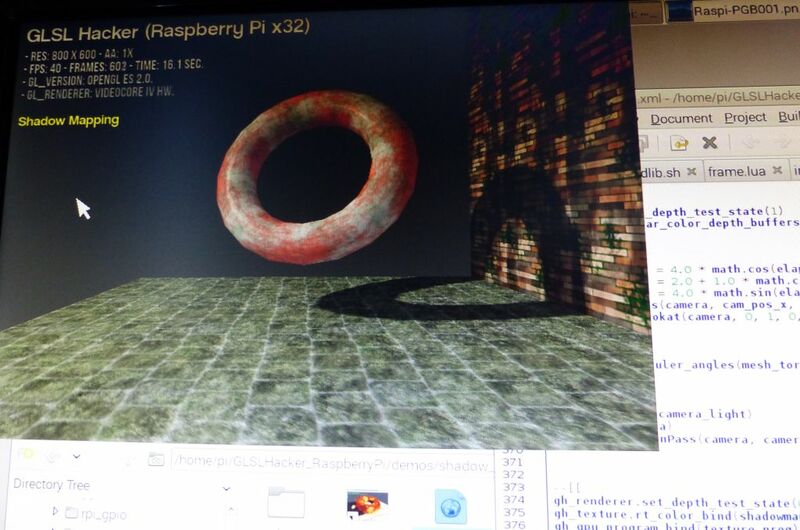 Simple texture mapping demo. 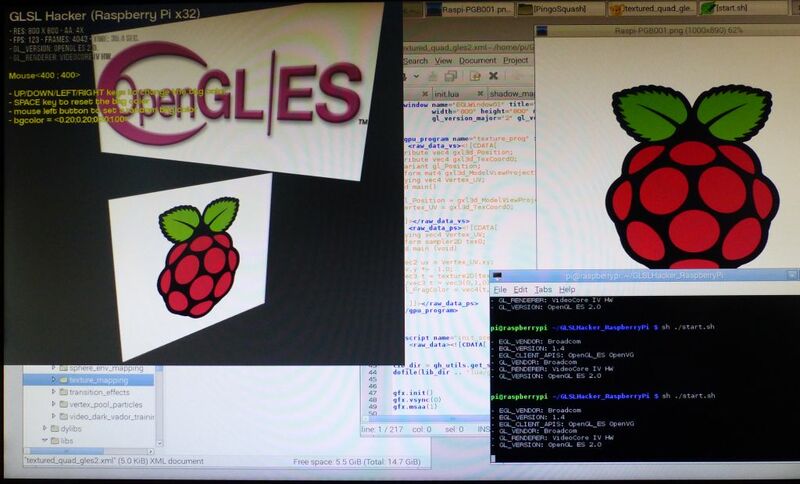 Texts are displayed using a True Type Fonts plugin (yes the same plugin than for Windows/OSX/Linux GLSL Hacker). 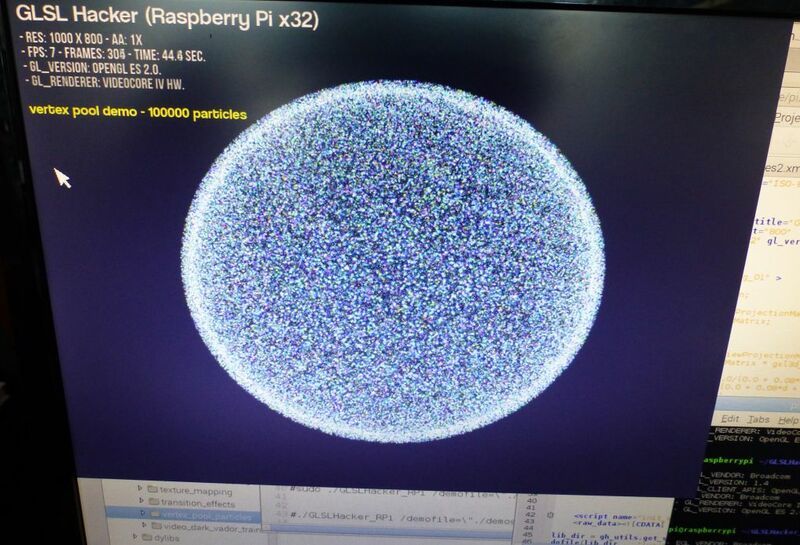 And another test, this time with 100k particles: 7 FPS!